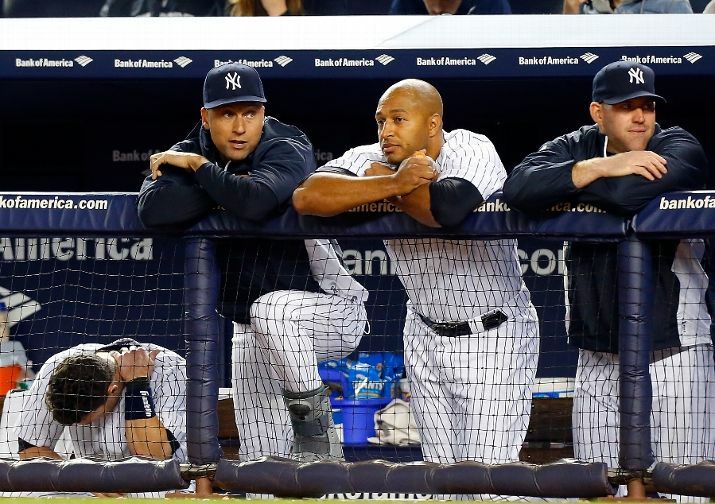 This wasn’t how things were supposed to be for the New York Yankees. The All-Star cavalry was supposed to return to buoy what is an otherwise uninspiring roster of 30-something misfits. 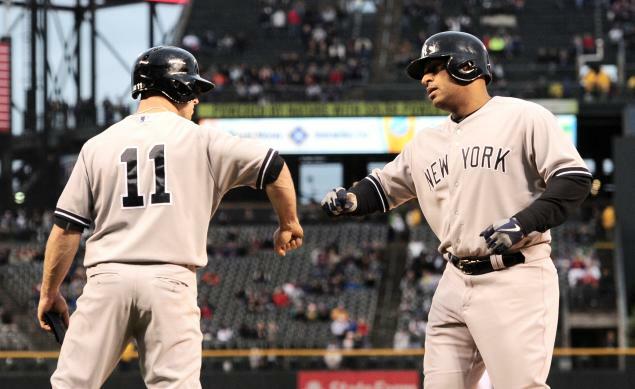 Curtis Granderson and Mark Teixeira were supposed to return to spell the likes of Vernon Wells and Lyle Overbay in a spirited 2nd half sprint to the playoffs. But that’s not exactly how things have worked out in the Bronx. Teixeira’s now done for the year thanks to surgery, Granderson played in 8 whole games before hitting the DL again, and the entire left side of the infield has fewer at-bats than All-Star appearances. From this day forward I think we can all agree to never, under any circumstance, question what Brian Cashman is doing again. The Yankees general manager took a verbal beating from almost every sports writer this winter over the moves, or lack thereof, that he was making. Signing Travis Hafner? Nah, he’s too old and brittle. Kevin Youkilis? No way jose, he’s a one of those Red Sox, plus he can’t hit anymore. 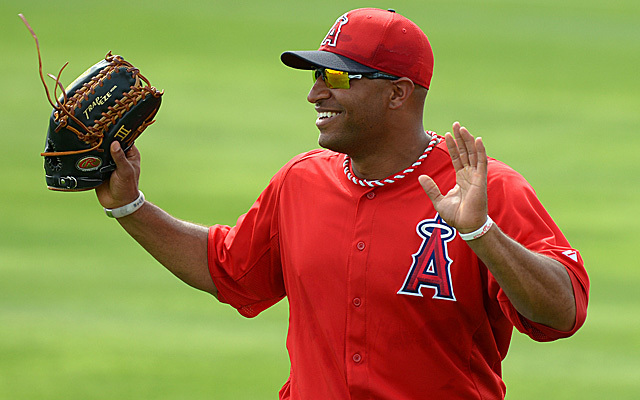 How about swapping for Vernon Wells? Ha, don’t make me laugh. These lackluster acquisitions, plus numerous injuries to the roster, were supposed to finally sink a Yankee ship that appeared to be too battered from years of battles to stay afloat. 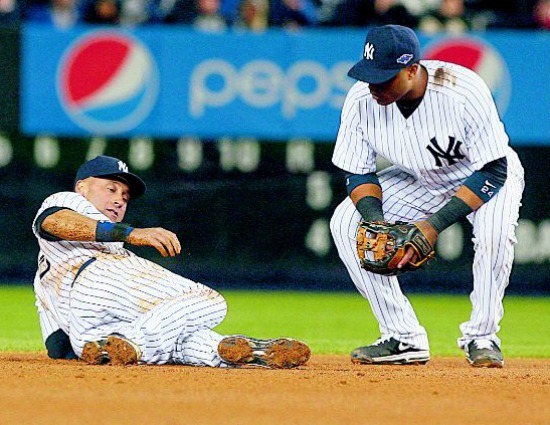 Yes, Robinson Cano and CC Sabathia were still aboard, but they weren’t going to be able to make up for the loss of Derek Jeter, Mark Teixeira, and Curtis Granderson, among others. The hope was that the replacements would hold the fort until the cavalry made their way back. But that hasn’t been the case this season. Buoyed by an excellent pitching staff, a deep bullpen, and some surprise offensive breakouts from Cashman’s reserves, the Yankees have gotten off to a rousing 19-13 start that has defied even the biggest optimists expectations. If the rumors do indeed come to pass (and it looks like they are going to), Vernon Wells will be moving across country to join the New York Yankees. The Yankees have been searching for an outfield bat with some pop throughout the Spring and apparently GM Brian Cashman. 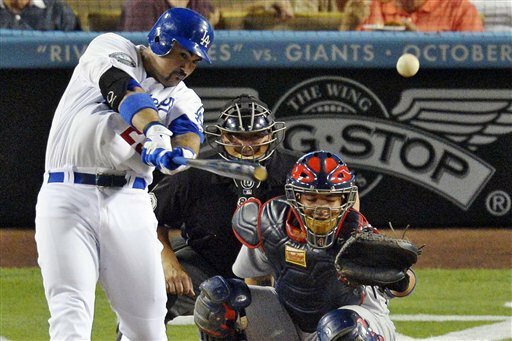 The Angels have been trying to dump Wells since they decided to shoot themselves in the foot, acquiring the outfielder at the steep cost of Mike Napoli, which meant the gears for a deal where properly greased. But the big question is why would the Yankees want a player the Angels are so desperate to get rid of? The dreaded injury bug scurried into the Yankees-Blue Jays scrimmage yesterday when one of Toronto’s candidates for their last rotation spot, JA Happ, plunked outfielder Curtis Granderson on the arm. 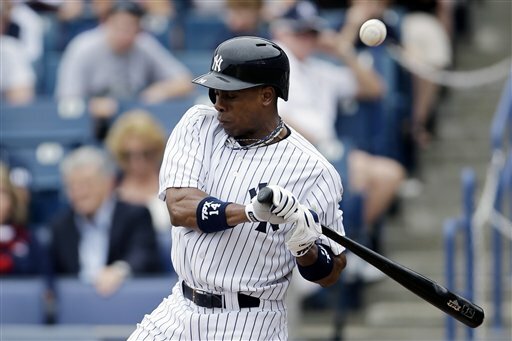 Granderson’s arm broke, thanks to the impact, and now the Yankees are going to be robbed of one of the Majors most prolific long ballers for an estimated 10 weeks. 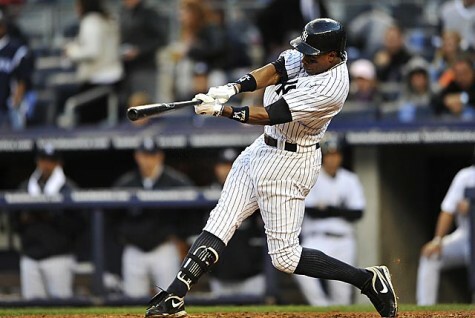 Luckily for the Yankees, if Granderson can make it back to full strength on that sort of timetable he should only miss 30-40 games, a sizeable amount no doubt but at least it’s not season-killing. The injury does bring up a series of interesting questions though. What are the Yankees going to do in left field? Should they look to the minors and give one of the youngsters a chance? Or should they swing a trade and potentially bring back a veteran with some pop?